Evaluation: Athletic wing that can play inside or outside Markus has a long frame and can jump out of the gym. Very good three point shooter with time that will consistently hit when open from the corners. Capable ballhandler that can attack the rim and finish through contact or see the floor and make plays. Needs to play with a consistently high motor at all times to be as successful as his potential will allow him to be. Length and athleticism make him a good rebounder, on ball defender, and weak-side shotblocker which should translate at the collegiate level. Bottom Line: High potential player with all the tools to be an impact collegiate player at the mid-major level. Size, length, athleticism, and shooting ability make him the prototypical college small forward. 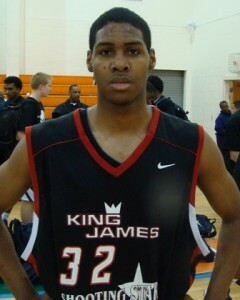 Notes: ’11 graduate of Huber Heights Wayne (Dayton, OH) before spending the year at Bridgeton as a postgrad. Crider has signed to play at Georgia State University.